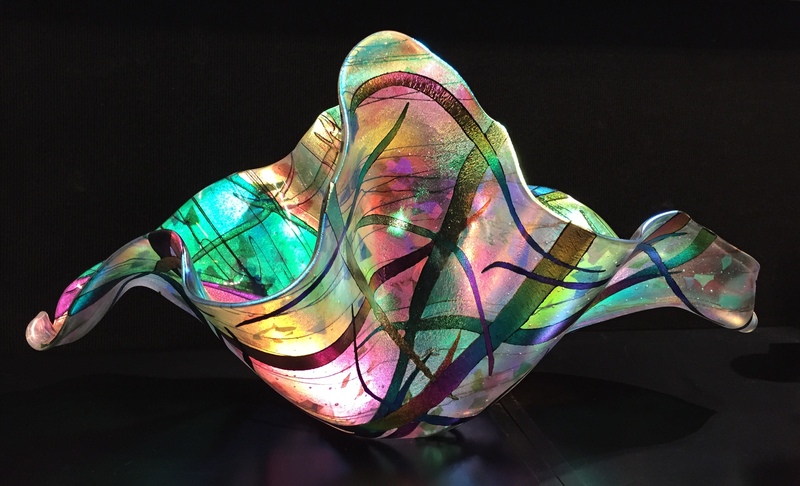 Gina Poppe has been an instructor in Glass Fusing, Stained and Leaded Glass, Jewelry, and Silver Art Clay at Snow Farm, Danforth Museum School of Art and glass shops for many years. 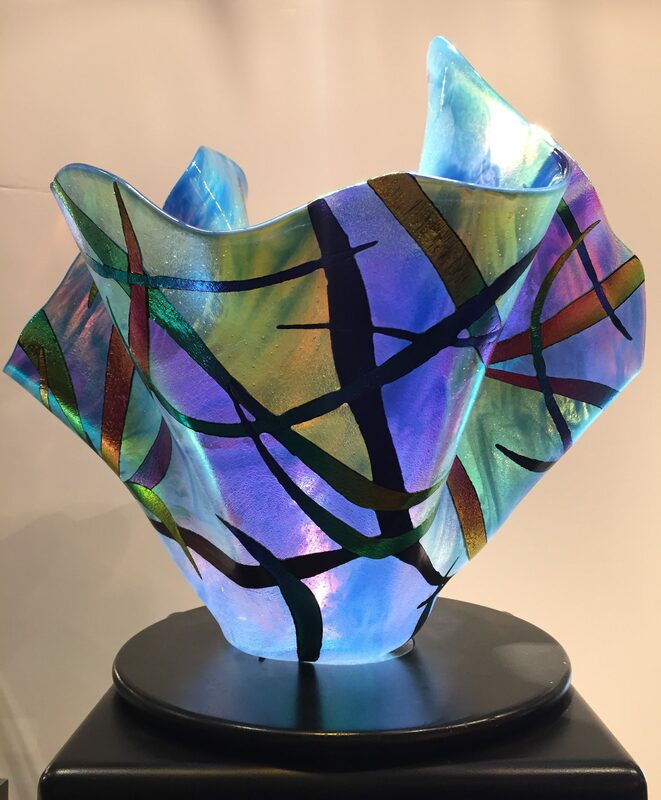 Gina has had her studio, Glass Palette, since 1980, creating custom stained and leaded glass windows and has been selling her fused glass art to galleries since 1991. 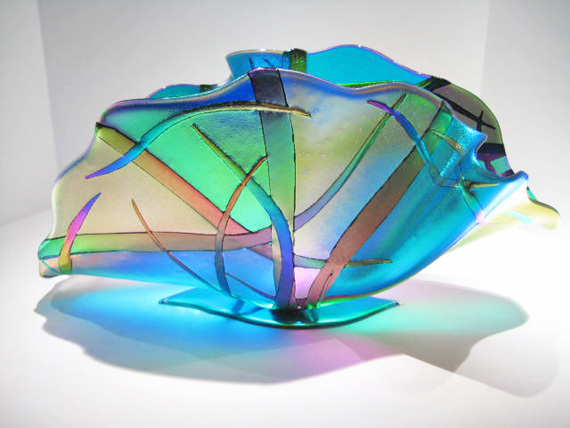 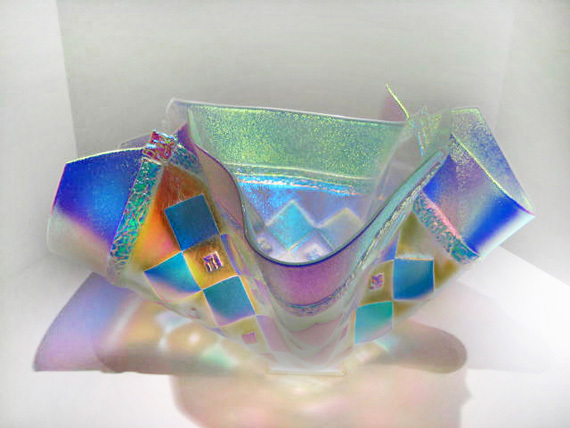 Her main passion is using dichroic glass in her artwork. 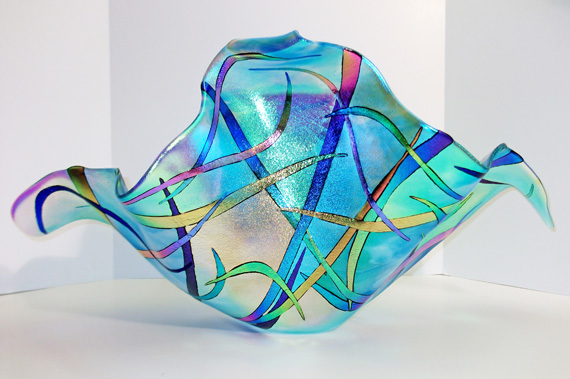 Gina’s fused glass art has won several awards and is collected worldwide.